Back Bay Books, 9780316320290, 256pp. Two young women who've dated the same man navigate love, destiny, loss, and choice in this powerful debut. Anna Riley and Anne Cavanaugh have had a lover in common, but it's not until a pivotal moment in one of their lives that their paths unforgettably converge. Peter Herring was the center of Anne's universe in college, and now, a few years later, he's become the center of Anna's, and merely a minor player in his ex-girlfriend's world. That is, until Peter and Anna are invited into Anne's parents' home to visit with her dying mother, and he finds himself drawn back into her orbit. 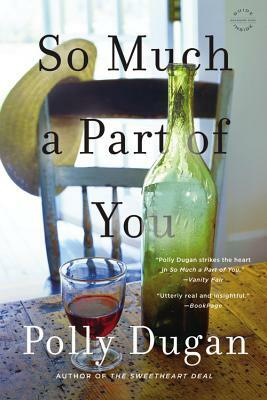 Through exploring Anne's and Anna's ties to Peter and the people who weave in and out of their lives, Polly Dugan reveals the power of family secrets, the ripple effects of her characters' choices, and how their relationships shape who they are and how they love. Polly Dugan lives in Portland and is a reader at Tin House magazine. A former employee of Powell's Books, she is an alumna of the Tin House Writers Workshop. Dugan's first published story, "A Matter of Time," was Line Zero's Spring 2012 Literary Contest Winner, "Masquerades" (as "One At a Time"), was Narrative's Story of the Week (December 2012), and "Kitten Season" was an Honorable Mention Recipient in Glimmer Train's Short Story Award for New Writers (August 2009).